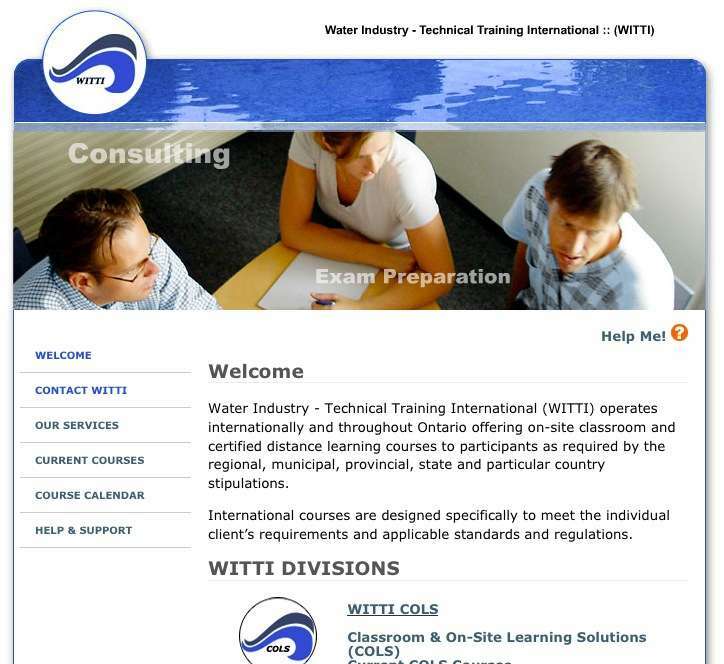 Water Industry – Technical Training International (WITTI) operates internationally and throughout Ontario offering on-site classroom and certified distance learning courses to participants as required by the regional, municipal, provincial, state and particular country stipulations. The WITTI site features a full online distance learning system, online course registration and a corporate portal for group registrations. The goal of the site is to allow customers to remotely join and participate in courses to update or attain certification which is a requirement of employees working in the field of water treatment. Artform provided WITTI back-end programming, graphic design and hosting services.